Well, if you've built an underground home or even been in a cave, you know how cool that will be; the earth stays at a steady temperature year round, and you can harness this temperature to make your home stay comfortable even in a heat wave. 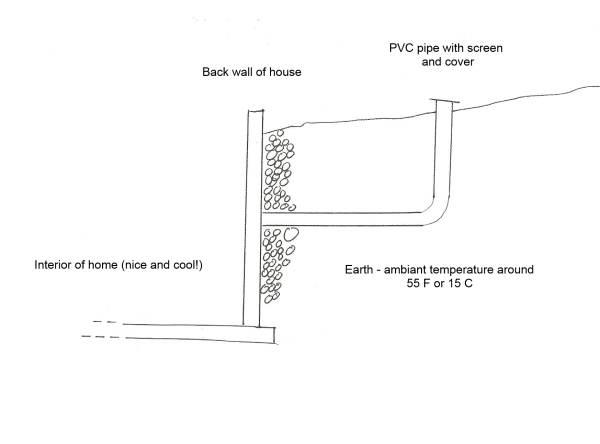 The principle is simple; install a pipe that will allow air to collect the coolness of the earth, and direct it into the house. With a few simple supplies you can install something that will be virtually free, low maintenance, and run with little help from you, and best of all, no cost. 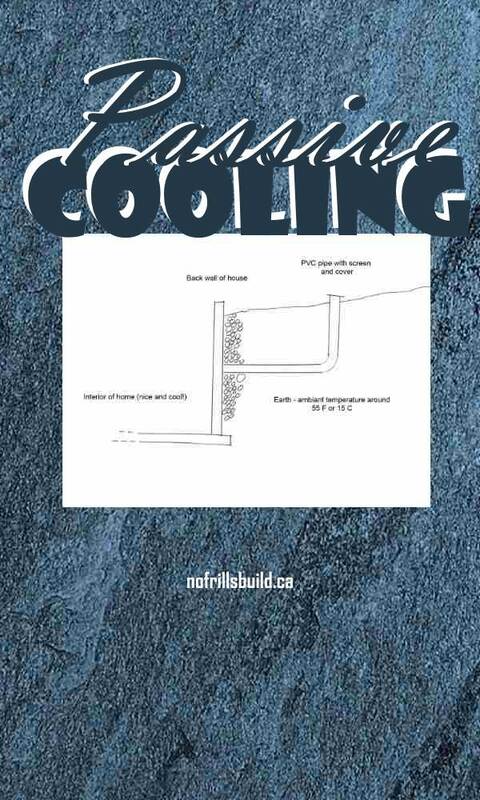 If your home is built into a hillside, and earth sheltered or bermed, you are well on your way to having free air conditioning. This would be one of those projects that is easiest to install when building the house, not retrofitted, especially if your walls are concrete. You will need some way of turning it off if it's not needed. I was planning my natural air conditioning to serve two purposes; as the cooling system for the heat of summer, and the fresh air intake for the woodstove for the winter. This would mean I would have to devise a way of switching it from one purpose to the other, as the seasons dictate. You will also need to install bug screens and maybe even hardware cloth to prevent animals and insects from using the pipe as a home; the last thing you will need is spiders moving in.